Kareena Kapoor Khan is sure that Sara Ali Khan's debut "Kedarnath" will work at the box office and believes the latter is a "born star." Saif Ali Khan and Amrita Singh's Daughter Sara Ali Khan said that she looks up to Kareena and wants to imbibe her professionalism. Kareena Kapoor who got married to Saif in the year 2012 was speaking at the Lux Golden Rose Award on Sunday night. 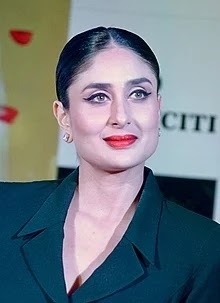 When asked about her feelings about Sara's debut in Bollywood kareena said, hope God willing and I am sure that the film will be a super hit but irrespective of that I think she is a born star." Sara is all set to debut in "Kedarnath" a movie set against the backdrop of one of the worst human tragedies. She will be seen opposite Sushant Singh Rajput. The film is directed by Abhishek Kapoor and will release on 7 December. She will also be seen in Rohit Shetty directed "Simmba" featuring Ranveer Singh.